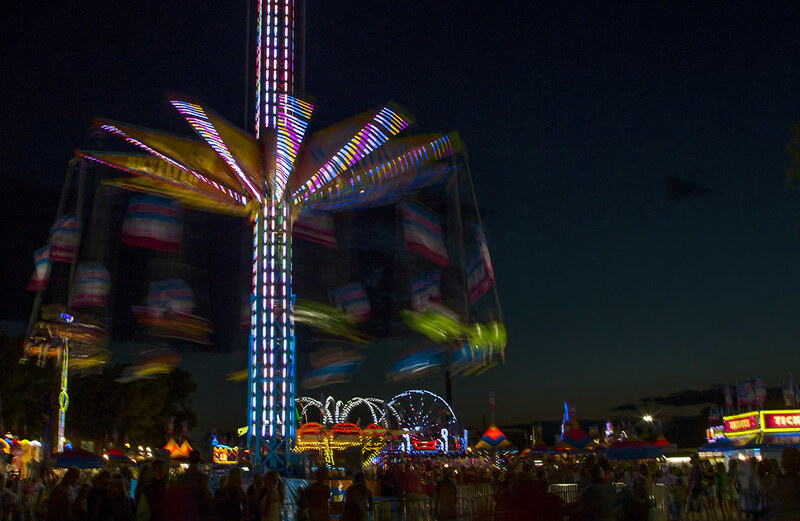 An overview of the Minnesota State Fair midway lit up after sunset with rides spinning and lights twinkling. Be sure to check out the Minnesota State Fair bingo cards! 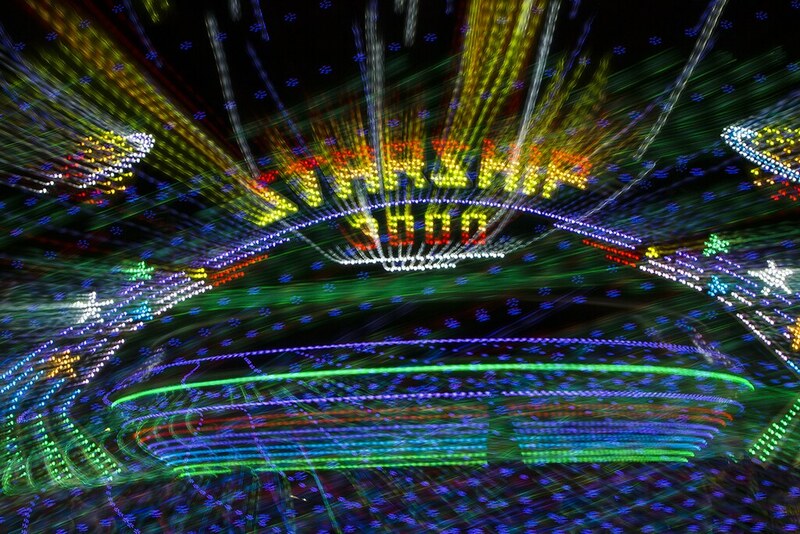 The dizzying lights of the Starship 3000 at the Minnesota State Fair explode in a kaleidoscope of blues and greens. Check out food photos of the Minnesota State Fair! 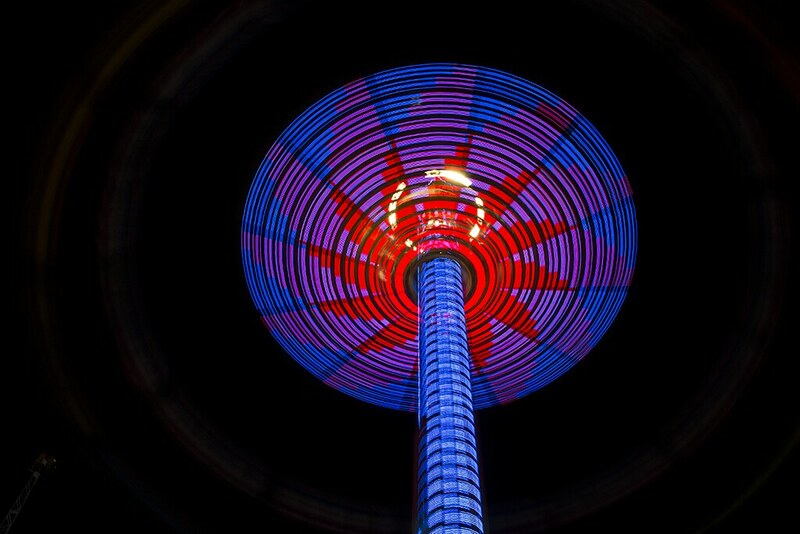 Dubbed by the photographer as "The Lightsicle", this photo of a towering ride at the Minnesota State Fair midway is my favorite of the bunch. What did the state fair look like decades ago? Check out these historical state fair photos. The cars of The Scrambler spin and whir around their metal base leaving riders on this Minnesota State Fair midway ride asking for more, probably. 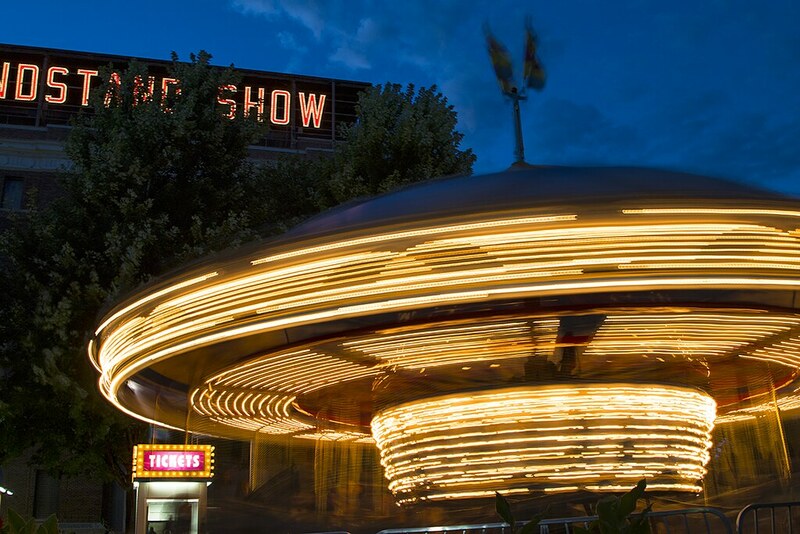 There is nothing more iconic in the way of fair rides than the simplistic Merry Go-Round. 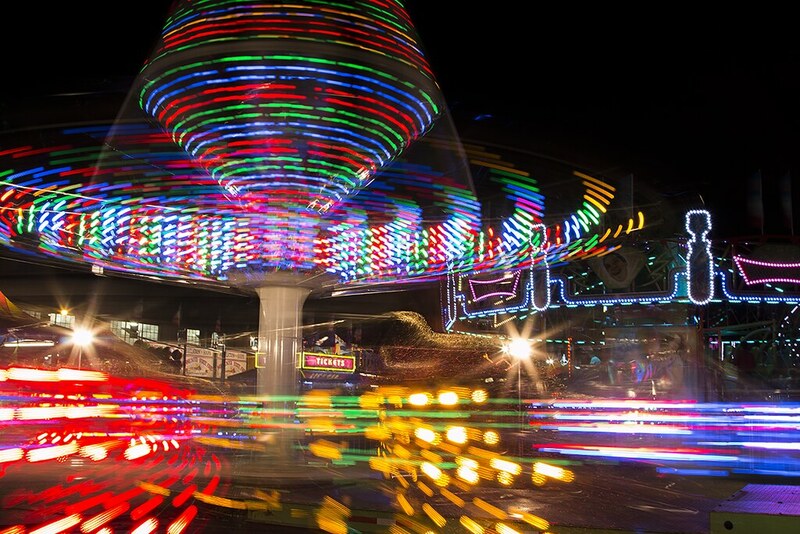 Its horses prancing up and down and lights blinking, this timeless classic is a landmark of the Minnesota State Fair midway.